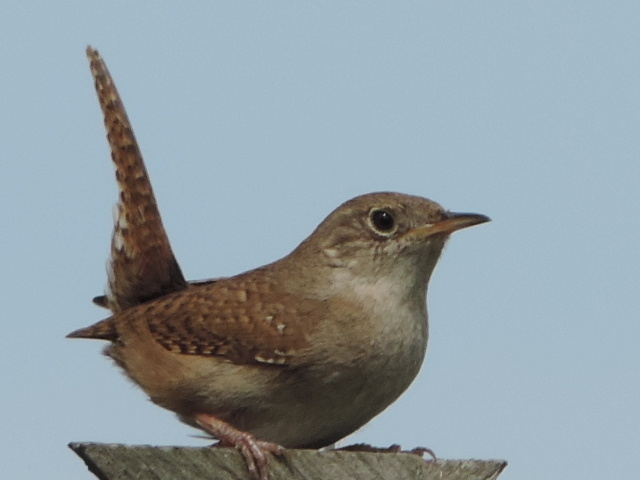 The House Wren is an active little brown bird which often holds its tail upwords. A light colored eye ring is also apparent. Photo taken near Wooster, Ohio on May 30, 2013 with a Nikon Coolpix P520 camera. Note: This is the first photo of a set of three. 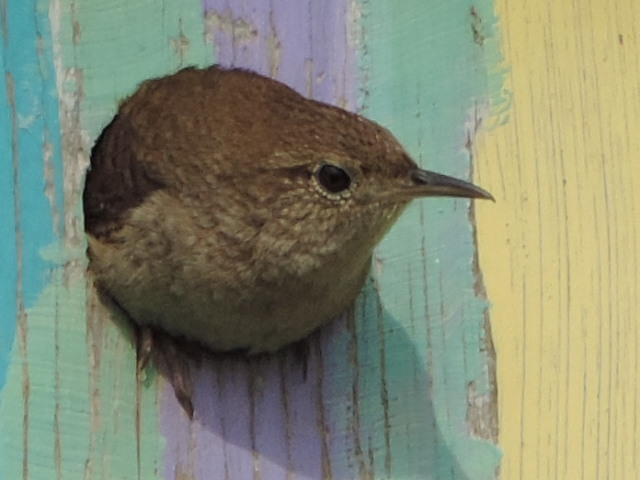 Female House Wren in the entrance of a bird house containing her nest of six eggs near Wooster, Ohio. 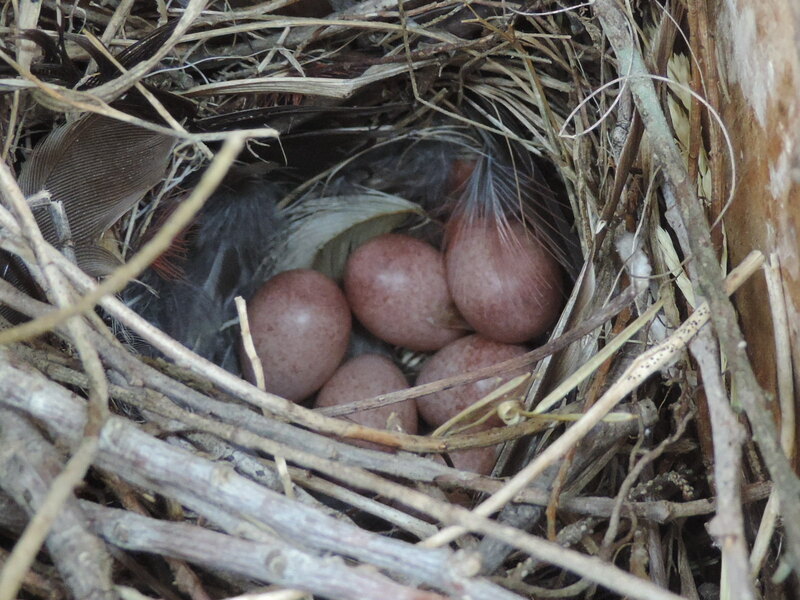 Photo taken on May 30, 2013 with a Nikon Coolpix P520 camera. Note: This is the second photo of a set of three.